Don’t be fooled by the official 4 stars rating – Villa Caemilla is a boutique hotel which offers service at the highest standards imaginable. 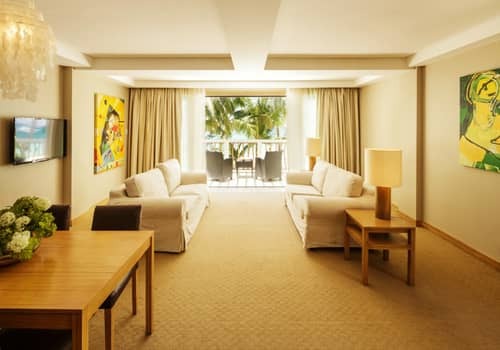 If you are looking for a luxurious experience at an affordable price, this beachfront resort should be high on your list. For us, it gives all the fancy 5 star hotels a real run for their money, read this review to find out exactly why. Located at the center of Boracay’s White beach station 3, Villa Caemilla is hands down the best place to stay at that area. In fact, it’s one of our most recommended choices in all of Boracay. Station 3 is much more quiet and relaxed than 1 and 2 which are packed with nightlife venues and big hotels. So, Villa Caemilla offers you a chance to relax at a more private beach setting, while still being only 10-15 minutes walk away from all the action. 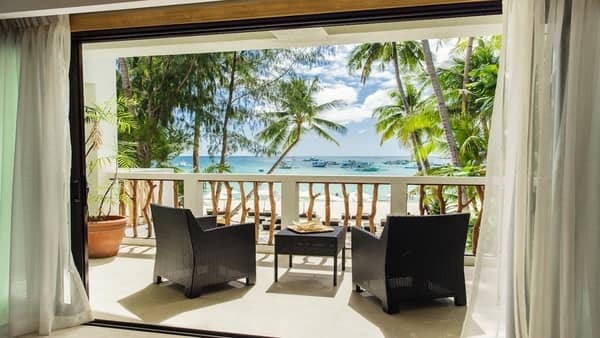 Located right in front of the beach, this resort offers the perfect romantic setting for couples who wish to enjoy the beauty of Boracay, but prefer to stay away from the tourist crowd. With a top level personal service to each, and a wide array of complimentary amenities and inclusions, Villa Caemilla is a great choice for both honeymooners and small families. Being a small boutique hotel means everything they do has a personal touch to it. The resort staff is unbeliveably helpful and friendly, and they offer a wide selection of unique services you can find anywhere else, most of which are complimentry. The standards at this resort are extremely high, and we didn't notice anything there that was dirty or in need of repairing. Villa Caemilla was extensively renovated 3 years ago, and the design gives a very clean and relaxing vibe to the whole place. 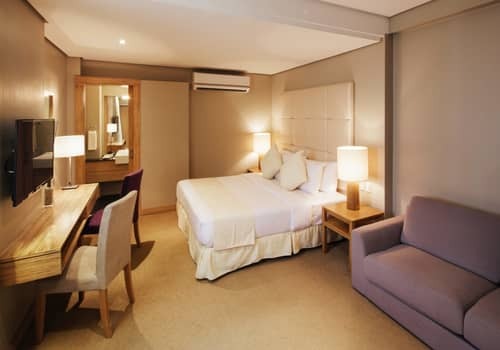 While non-suite rooms are quite small, they are comfortable enough to fit in 2 adults without any problem. The shower has a great water pressure and hot water is always available, and the bed is large and comfy. 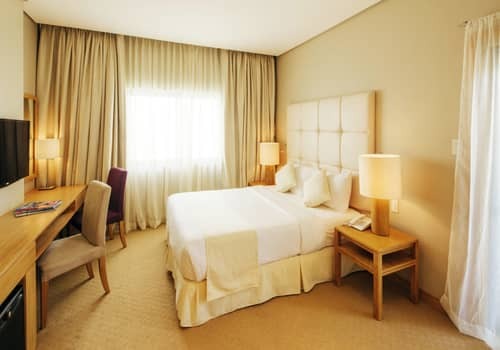 All in all, the rooms here are clean and well stocked, and will surely meet your expectations. Even though there's no pool, being right at the beach front means it's hardly missed. Station 3 beach isn't as wide or beautiful as the one at Station 1, but still it's part of White beach – the best beach in the world. Tall palm trees provide shade, as you sit at the resort's ergonomic beach chairs and enjoy the perfect surroundings. As mentioned, this is a perfect location for people who wish to enjoy a quiet romantic setting during their Boracay vacation. Still, since White Beach is so small, walking to the main areas at station 2 shouldn't take you more than 15 minutes at most. 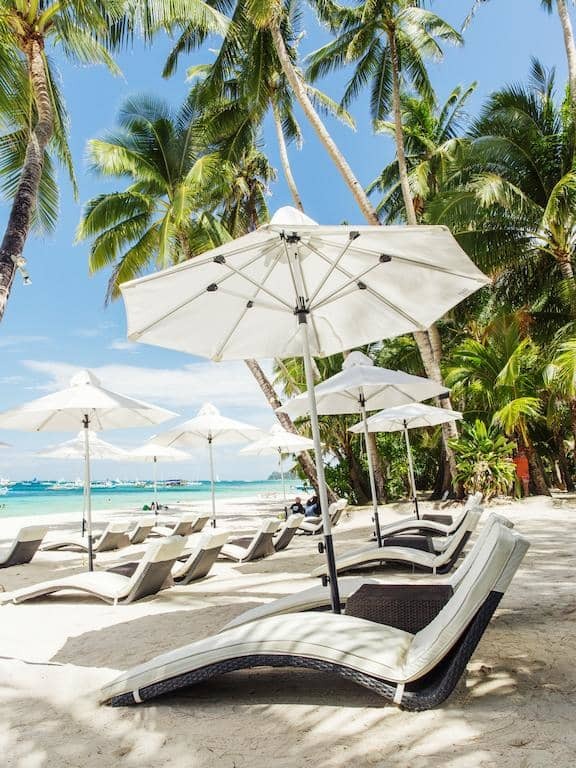 Boracay isn't cheap, unless you are really willing to compromise. With that in mind, the value you get at Villa Caemilla is simply outstanding. You'll enjoy it as much as staying at a 5 star luxury resort, and will pay only half the price. The minute we set foot inside Villa Caemilla, we could tell this place is completely different from your regular cozy beach resort. Its clean, modern look immediately sets it apart and gives guests a feeling of luxury and comfort. This is especially emphasized when compared with other Station 3 resorts, which are typically more budget oriented and poorly maintained. The staff at this resort is all Filipino, with the exception of the manager who is a Dutch national named Wesley. 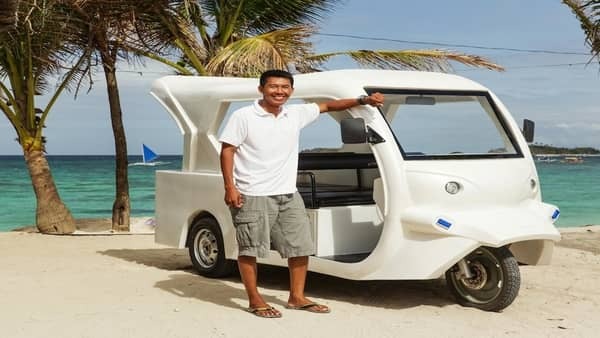 Having spent more than 7 years on the island already, Wesley understands perfectly how to combine western standards with Filipino hospitality and service, and it shows through the amazing work he and his staff do at Villa Caemilla. It also means that if something goes wrong, or you happen to have some unorthodox requests, you’ll have someone to speak to who understand the mentality of foreign tourists. 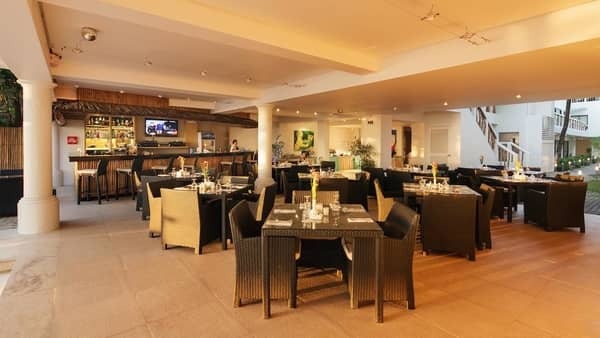 Another thing you’ll notice straight away is the white sand beach and the bar area they call the beachfront club. 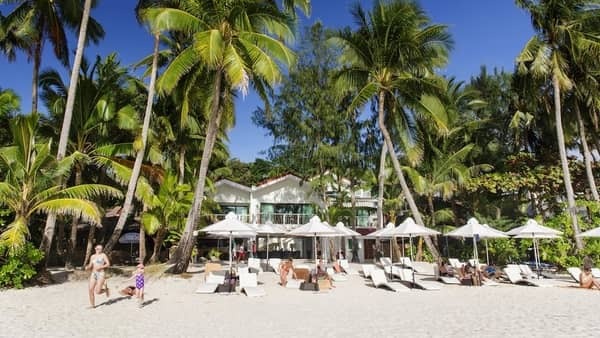 Surrounded by lush tropical vegetation and tall palm trees, it’s one of the nicest hidden gems of Boracay’s white beach, and a welcomed escape from the crowds at Station 2. The beach isn’t private, but the club prioritizes house guests of course. Over there, you can enjoy ergonomic beach chairs and complimentary water and cold towels, as well as buy some cocktails or beers as you sit back, relax and enjoy the spectacular view of the ocean. Rooms in Villa Caemilla are divided into 7 different categories, with the Standard Deluxe and Superior Deluxe being the most popular choices. 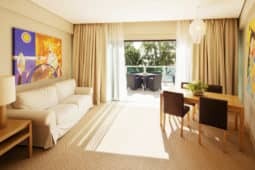 These are the 2 most basic room types on the property, but still they offer great value for guests and are a great choice if your a couple on your honeymoon. That said, they are slightly smaller than their equivalents at other resorts, so booking one of the suites is always an option. Do Guests Like Villa Caemilla? Villa Caemilla is a well known Boracay establishment with an impeccable reputation. That is especially true under the leadership of the new management, which oversaw the extensive renovation the hotel went through in 2014. Since then, guest reviews have went through the roof, praising the hotel and its staff for providing the perfect setting for a beach holiday in Boracay. We prefer to base our review on our own personal experience of the hotel and our direct communication with the staff. We also give considerable weight to feedback we have received directly from people we sent there. Still, the overwhelmingly positive reviews this hotel gets on every major booking site can't be ignored. So, we went over every comment we could find, to try and piece in the puzzle and help you figure out exactly what it's like to stay there. 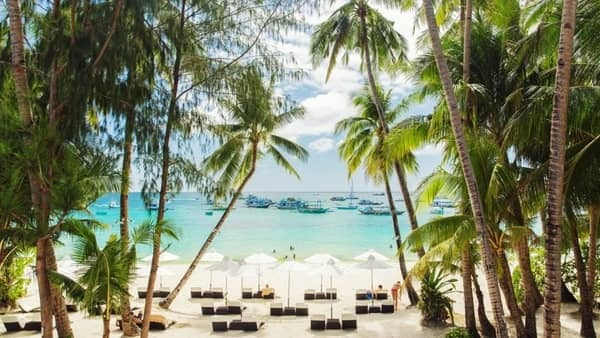 Tripadvisor users rate this hotel with 4.5 stars out of 5, and the 3rd best hotel overall in whole of Boracay.. Only 2% of guests have rated their stay to be "below average". Special praise is given to the staff and the food served at the restaurant, especially during breakfast. Also, people really liked the location and found it to be peaceful and romantic, and the beach is great. The very few negative reviews generally focus on the rooms being too small, and the strict cancellation policy. On Booking.com we found 806 reviews with an amazing average score of 9.2. 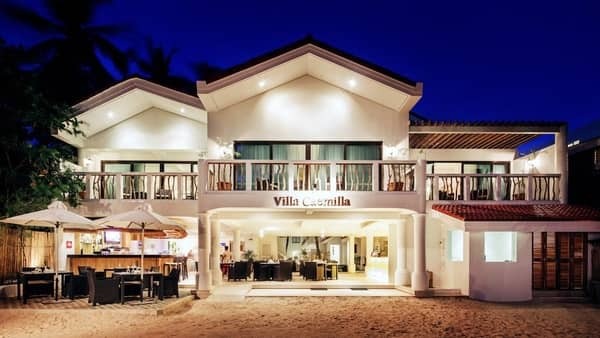 Again, this puts Villa Caemilla as one of the top ranking hotels in Boracay. Again, special praise was given to the staff and guests really liked the food and the quality of the rooms. 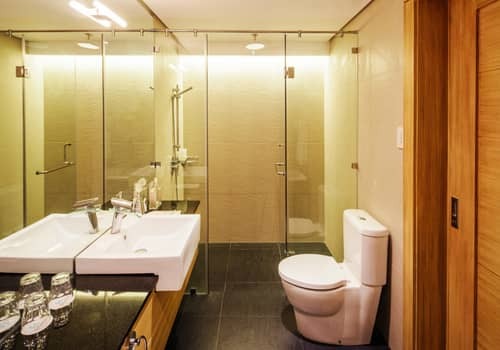 We had a very hard time finding concrete complaints – the only repeating one we noticed is that the rooms lack privacy unless you pull down the curtains at all times. We also went through most of the 739 reviews posted on Agoda.com, where Villa Caemilla enjoys an average rating of 9.1. As you might have realized already by now, the food is one of Villa Caemilla’s strongest points. Unfortunately, breakfast isn’t included in the price of the room and will require an additional charge of 8$ per day. 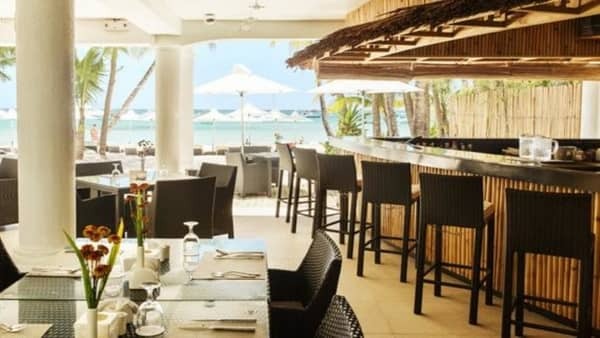 Still, we recommend you take it, since it’s one of the best breakfasts you can find in Boracay – Let us know what you choose and we’ll handle your booking accordingly. 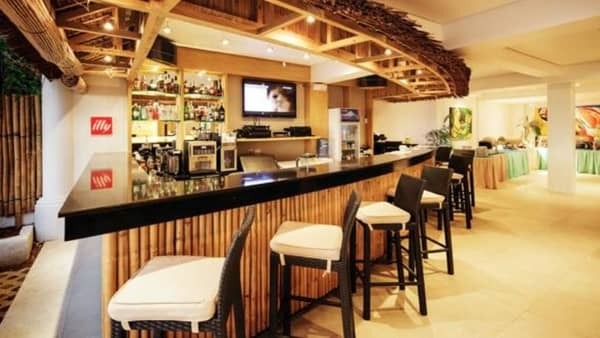 The restaurant also functions as a beach bar, and specialize in cocktails and a large selection of wines from all over the world. The restaurant is open from 6am until 10pm, while the bar closes down at midnight. The resort doesn’t have an inhouse spa, but they have a collaboration with the Bella Isa Spa which is just next door. This spa is famous for being one of the better spots on Boracay to get a massage, and its rates are very fair. You can just drop by there and book a therapy, mention your a guest at the hotel and enjoy a nice discount. The spa is not large, so booking in advance is advised. Alternatively, you can always take the treatment in your room instead. Lastly, we want to touch briefly the resort’s special features, which truly help set it apart from its competitors. First of all, they are one of very few resorts that offer a free shuttle service on the island for their guests. You can always catch a ride on their electric car, and they’ll take anywhere you want to go. On top of that, they also offer access to the resort’s business center, where you can use their computers or set up your own small working station. This is worth mentioning mainly because Villa Caemilla has one of the best WiFi connections on the entire island. In conclusion, you really can’t go wrong if you decide to spend your time in boracay sleeping in Villa Caemilla. You are guaranteed a world class experience with a personal local touch, that will surely exceed your expectations. 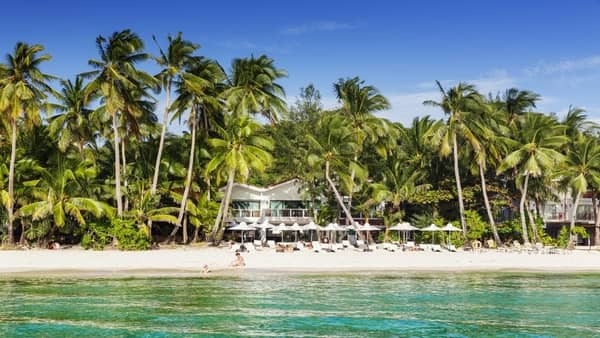 Combined with a stunning beach and fantastic amenities, this resort is really the perfect choice for couples and small groups. 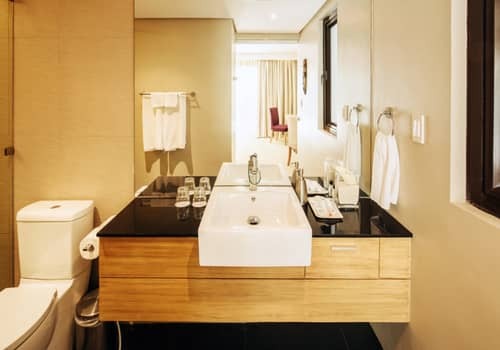 When you also take into account the very reasonable rates they offer, you easily understand why they are one of the top rated hotels in Boracay. 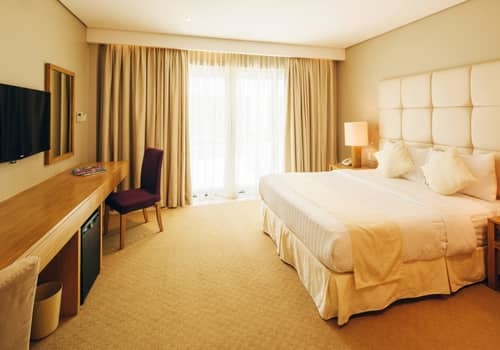 The most basic room type, this room is 20sqm and comes with a queen size bed. It’s very comfortable and modernly furnished, so a great choice for couples. Room comes with all basic amenities offered by the resort, such as a mini bar, safety deposit box, 50 inch flatscreen TV and free WiFi. 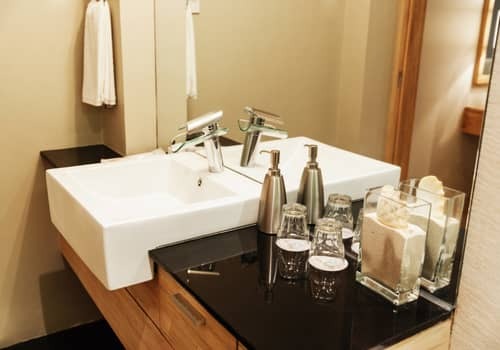 Water bottles and all toiletries are also replenished daily. With a comfy space of 27sqm and 1 queen size bed, this is the most recommended choice for couples. 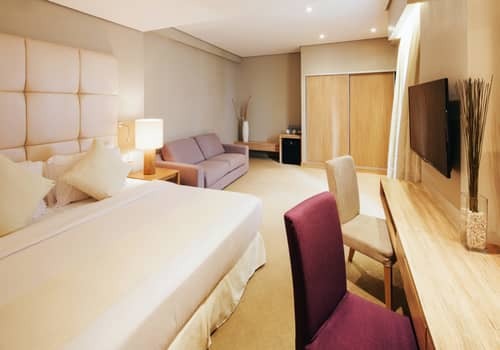 The room comes with all ameneties such as a mini bar, safety deposit box, 50 inch flatscreen TV and free WiFi. This is a 32sqm room located at the ground level with a garden view. With a queen size bed and a convertible sofa bed it can accommodate up to 4 people, although it might feel a bit crowded. 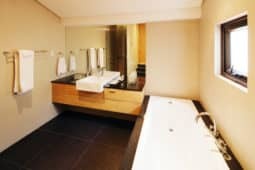 The rooms comes fully stocked with all amenities such as a safety box, mini bar, 50 inch TV, iPod dock and all toiletries. 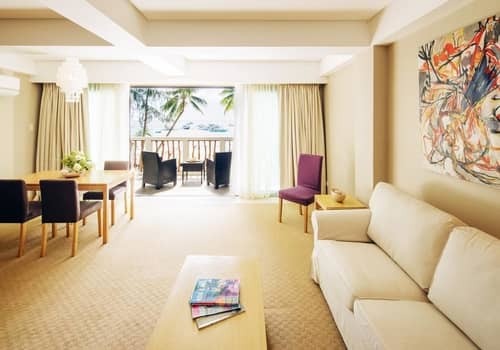 This is the most basic suite, but it still offers great value and a real luxury experience. This is a 65sqm room with 1 king size and sofa bed, which means it can easily fit in 4 people. 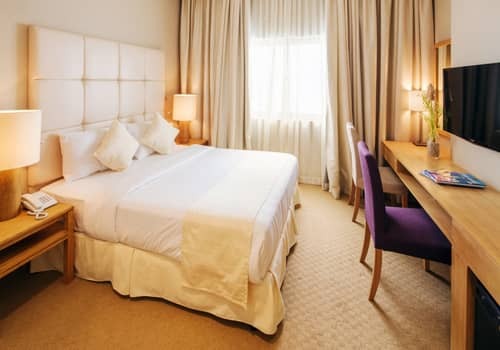 You get to enjoy all the benefits of a suite – complimentary fruit basket, red and white wine and a large 50 inch flat screen TV. This large 70sqm suite can easily accommodate 4 adults, as it has a king size bed and a sofa which can be turned into a bed. The private balcony offers a spectacular view of the ocean. 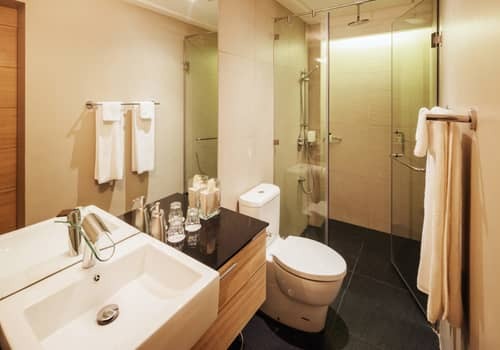 With a 50 inch TV, private bathtub and shower, a working and living area and complimentary fruit basket, red and white wine – this is a great choice if you want to really pamper yourself. 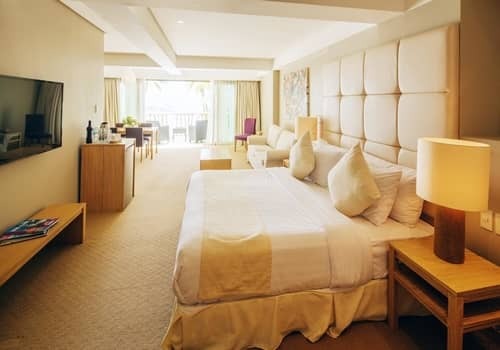 This beachfront suite is 82sqm and can comfortably fit up to 6 persons. It has a king size bed and 2 sofas that can be turned into sofa beds, which fit 2 persons each. 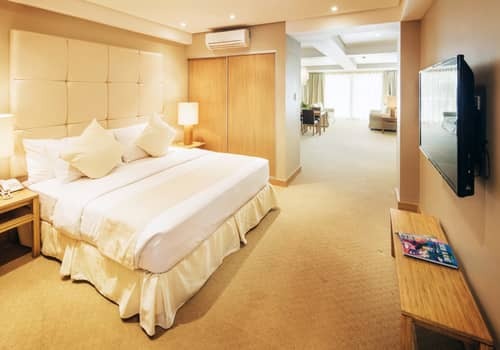 The room comes with a private balcony, 50 inch TV with 300 channels, a bathtub and complimentary fruit basket and red/white wine.